You can customize your Desktop in OS X Yosemite by setting your favorite photo as the background. 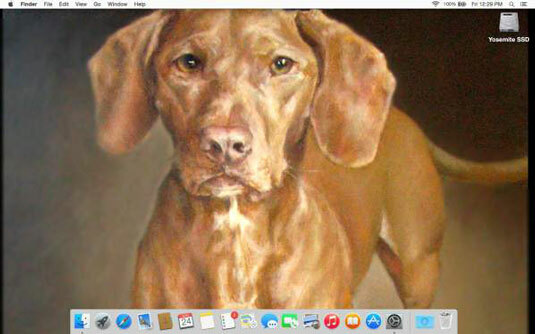 The first figure shows a Desktop with a portrait of a dog, Zeke, painted by talented artist Jeanne Illenye. Or right- or Control-click the Desktop, choose Change Desktop Background from the contextual menu, and skip to Step 3. When the Desktop & Screen Saver pane appears, click the Desktop tab (if it’s not selected already). 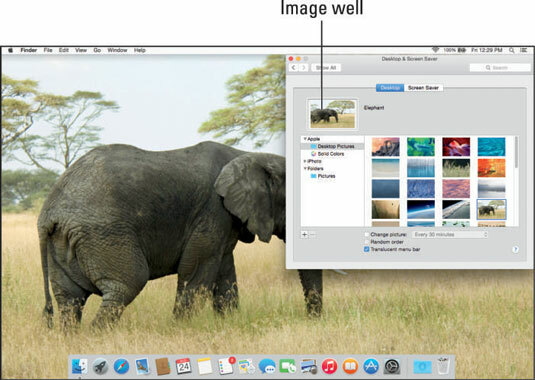 A picture called Elephant is one of the items in the Desktop Pictures folder. Click the Desktop tab in the Desktop & Screen Saver System Preferences pane and then click the + button at the bottom of the list on the left. 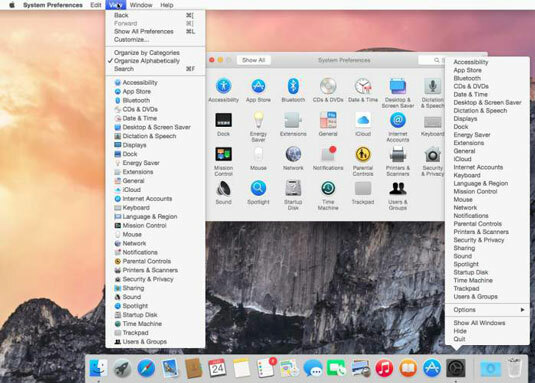 Choose a folder in the standard Open File sheet and that folder appears in the list; you can use any picture files it contains for your Desktop picture. Click the iPhoto (or Aperture) item in the column on the left side of the Desktop & Screen Saver preference pane and choose from pictures stored in iPhoto or Aperture. Apple sounded the death knell for iPhoto and Aperture in early 2014. A new app called Photos will replace both sometime in 2015.